Itzamna is the god of learning and literature Itzamna es elk dios Maya del concocimiento y de la literatura ITZAMNA The Mayas' culture left a valuable legacy to their descendents and to the world. The Mayas were scientifically advanced; they developed advanced astrological notations and a complex calendar. 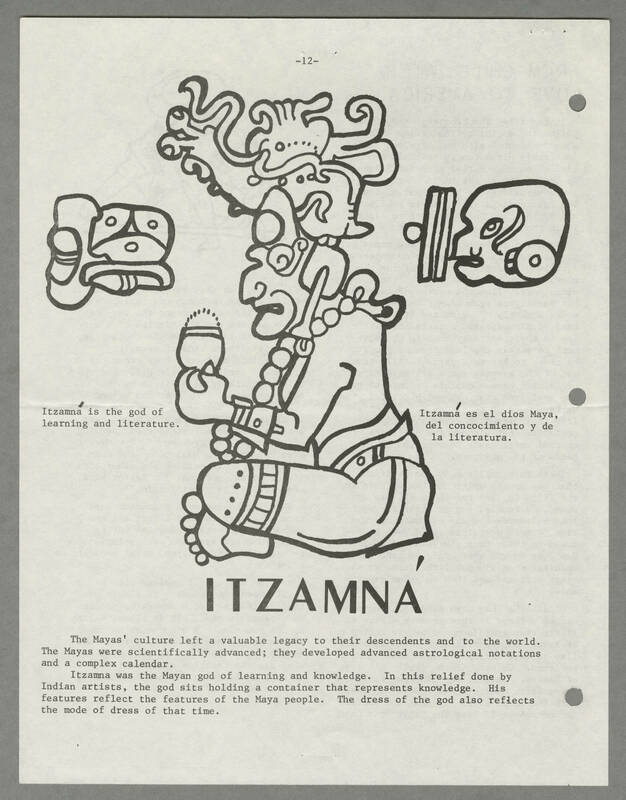 Itzamna was the Mayan god of learning and knowledge. In this relief done by Indian artists, the god sits holding a container that represents knowledge. His features reflect the features of the Maya people. The dress of the god also reflects the mode of dress of that time.